A self-guided float down a nearby stretch of the Shenandoah, however, was more within the realm of possibility so, when rain chased us off the lake on Saturday afternoon, five damp-ish, possibly smelly, smart alecs mounted an expedition to Mossy Creek’s shop in Harrisonburg, VA, for advice and flies to use on Monday’s river run. I want to say her name was Melissa and If I’m wrong, I’m sorry. I’m just going to say it and stick with it. I’m nearly certain she didn’t say her name was Myrtle and she was the only person in the shop that rainy Saturday afternoon. Having dealt with damp, smelly smart alecs fly fishers, myself, a time or two, I quickly saw she was up to the task. Her advice and fly recommendations turned out to be spot-on, and her exasperation with our antics hardly showed at all. 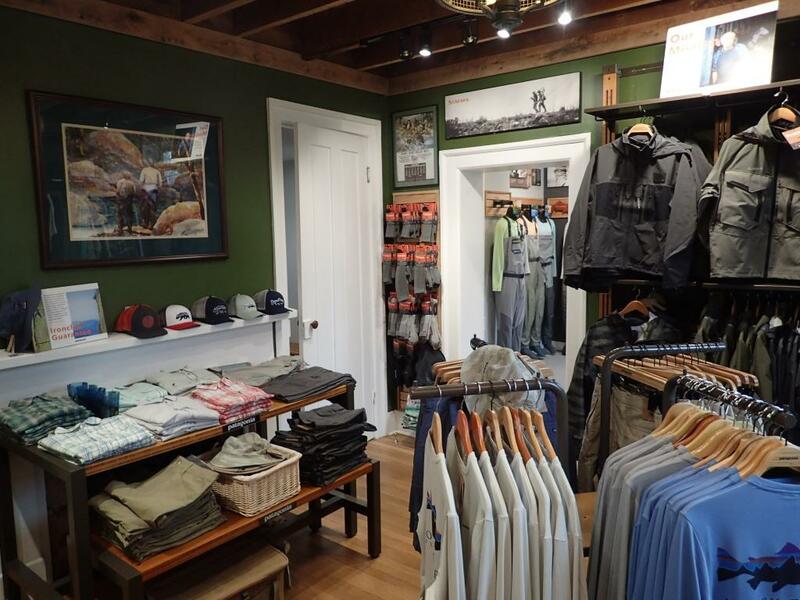 Previously located in the strip mall part of town, Mossy Creek Fly Fishing moved to their new location last year, and the painted brick exterior of their building gives little indication of what’s inside. 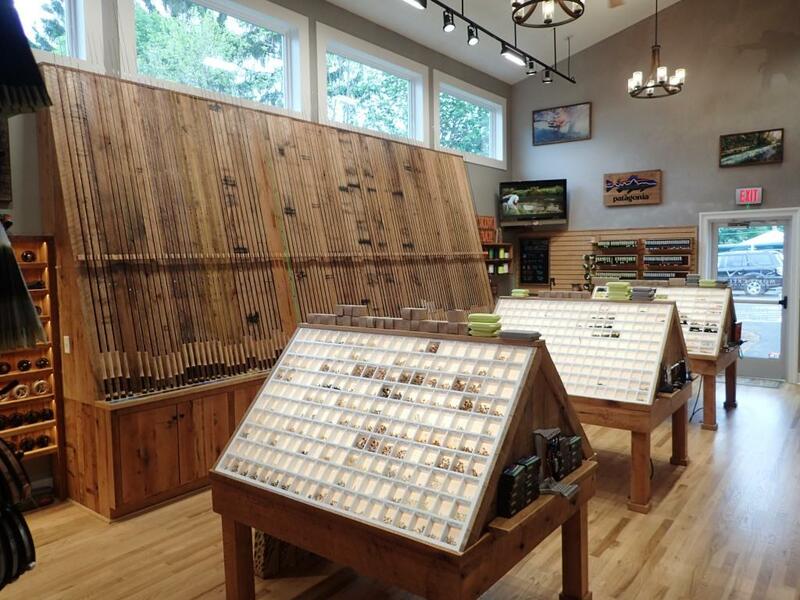 Mossy Creek Fly Fishing is a full service shop, able to outfit an angler from head to toe with a wide variety of everything from clothing to rods, reels and lines. 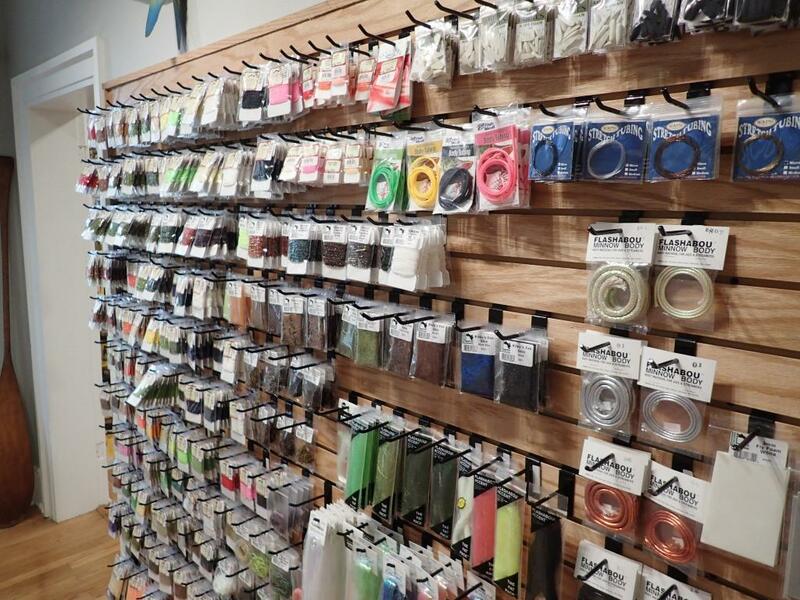 They also carry an extensive selection of fly tying materials and accessories, along with flies already tied, chosen specifically for their region and season. The nearest fly shop to my home is the Orvis flagship store in Manchester, VT, where they are obligated to carry every darn fly in the catalog, and it was kind of nice to see fly bins that didn’t overwhelm with too many patterns in too many sizes. The empty sections weren’t sold out of certain flies; the flies that weren’t there were flies you weren’t going to be needing. Hindsight being 20/20, I do wish I’d taken a picture of their smallest nymph next to their biggest musky fly (which, if I remember correctly, resembled a medium-size pink parrot). In addition to guided trips for trout, smallmouth bass, musky, and carp, Mossy Creek offers classes, from instruction for beginners to advanced casting. 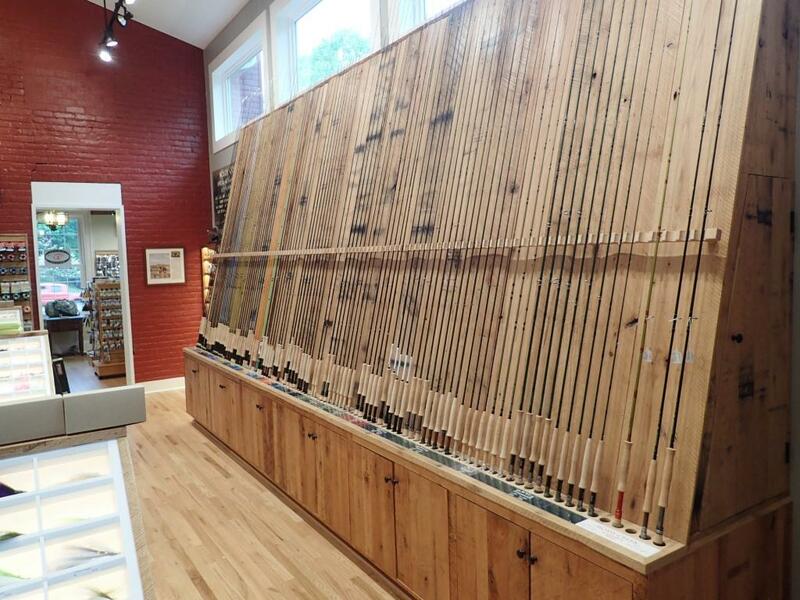 They also host the Orvis Virginia Fly Fishing School, for those interested in a full-day’s immersion in the Orvis way. 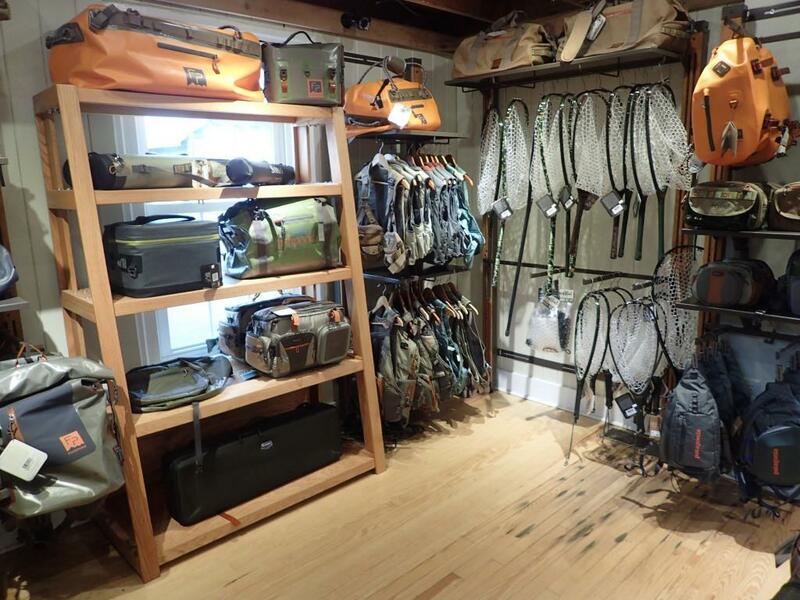 An Orvis endorsement is one thing; endorsement by customers and clients is another. The online reviews of Mossy Creek Fly Fishing I found are overwhelmingly positive and, perhaps more impressive, those reviews all received responses from Mossy Creek. 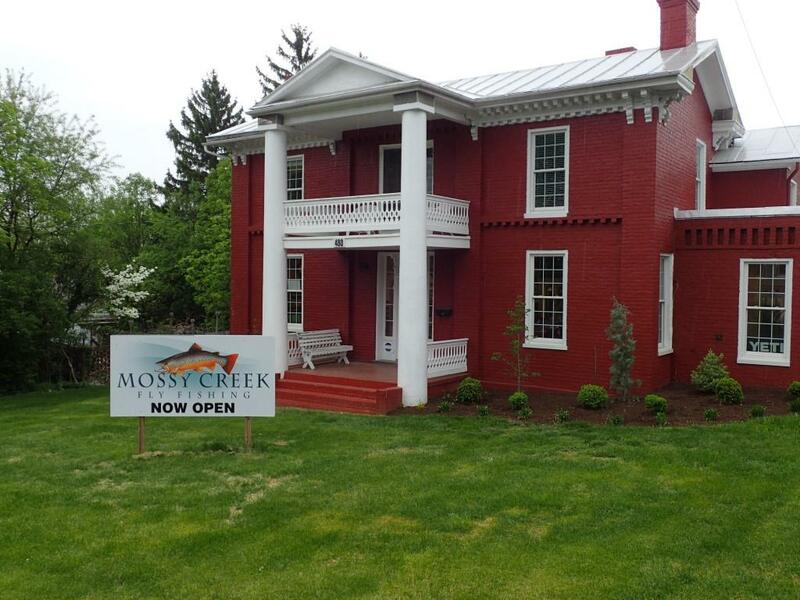 Mossy Creek Fly Fishing is located at the corner of East Market Street and Sterling Street, across from the Woodbine Cemetery and just up from the Stonewall Jackson Inn in Harrisonburg, Virginia. Or, they can be found online, at mossycreekflyfishing.com.